NEW YORK (Reuters) - Bankrupt shopping mall owner General Growth Properties Inc, which is seeking to surface from bankruptcy protection next year, posted a narrower net loss in November from the month before, according to a monthly regulatory filing. The owner and operator of regional shopping centers also said revenue and operating income improved sequentially. Its shares gained 1.7 percent in early trading to $11.74. General Growth reported revenue of $216.8 million in November and operating income of $85.2 million. In October, it posted revenue of $215.0 million and operating income of $82.4 million. After interest expense, reorganization costs and other items, its net loss was $6.4 million, or 2 cents per share, according to the filing, narrowing sequentially from $12.6 million, or 4 cents a share in October. General Growth filed for bankruptcy protection in April, becoming the biggest real-estate failure in U.S. history. 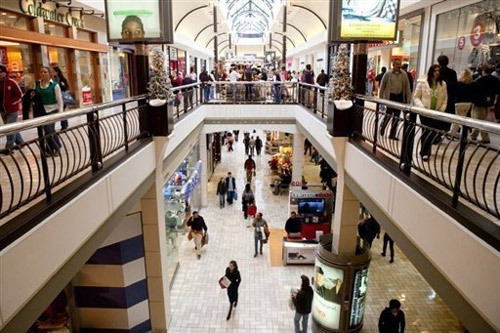 Simon Property Group Inc, the largest U.S. mall owner, and global property investor Brookfield Asset Management have expressed interest in General Growth, which has said it prefers to emerge as a stand-alone company. It has exclusive rights to file a plan of reorganization until February 26. The company's board is continuing to evaluate alternatives, including a public offering of General Growth equity, to reduce overall leverage and raise the capital necessary to emerge from bankruptcy in 2010. The U.S. bankruptcy court this month approved the payment of a 19 cent-per-share dividend, up to 10 percent of which will be paid in cash, the rest in stock.